For the first time in the school’s history, Southern States Athletic Conference cheer and dance teams will compete against one another in The Den, ultimately vying for the conference championship. Last year, Loyola’s dance program took home the conference crown for the second year in a row. The team went on to finish fourth at the National Association of Intercollegiate Athletics Southeast Regional meet and 11th in the national championship. The cheer team saw success, as well, as they finished third in the conference championship last year and 11th at the regional match. Both teams look to find similar success next week at Loyola. Dance teams from Brewton-Parker College and Martin Methodist College will face off against Loyola in a dual meet Feb. 1 starting at 10 a.m.
Loyola will then open up for the Wolf Pack Invitational at 12 p.m. Brewton-Parker and Martin Methodist’s dance teams will again face Loyola. Then, cheer squads from Martin Methodist and Loyola are expected to compete against Bethel University, Point University and the University of Mobile. Loyola students and children under 10 may attend both matches for free. All other attendees must purchase tickets, which will be sold for $10 at the door. The Southern States Athletic Conference Championships are expected to begin at 9 a.m. Feb. 2. 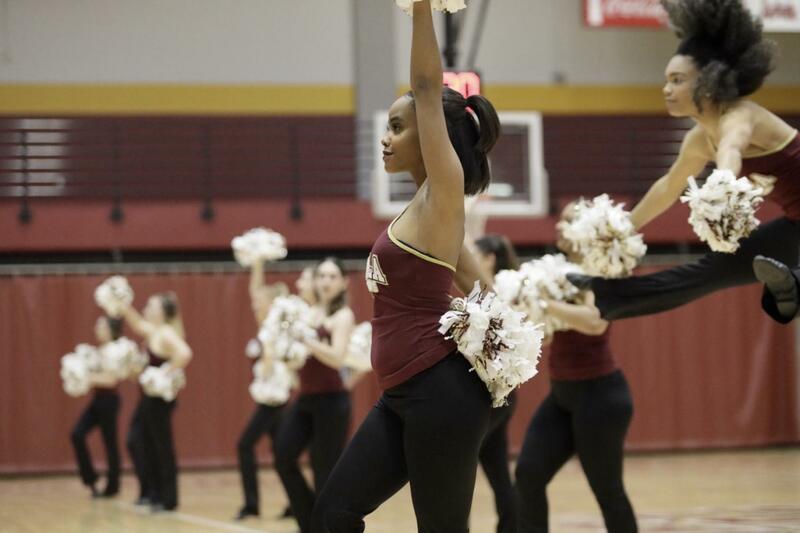 Loyola’s dance team aims to defend its title against Brewton-Parker and Martin Methodist, while Loyola’s cheer team hopes to beat out the other conference teams for the first time since the team’s founding. Loyola will host another dual meet at noon on Feb. 2, in which the Wolf Pack’s cheer and dance teams will compete against Bethel University. Tickets for Feb. 2 events will also be sold for $10, but children under 10 and the first 50 Loyola students to show will be admitted for free. All four conference events will be live-streamed at loyolawolfpack.com.